After an active storm cycle out West the pattern this weekend turns much drier. It's just the opposite for the Northeast where a winter storm, some lake effect snow and colder air will settle in. Northeast: Saturday starts tranquilly before a winter storm rolls in with snow, wind and colder air from New York to Maine. It'll start as a rain/snow mixture turning over to all snow for most areas. Sunday River and Killington should both get light accumulations: generally 1 to 5 inch totals. Wind gusts ramp up through the weekend as the storm slides through: 20 to 40 mph. Highs start in the 40s on Saturday then fall into the 20s and 30s for Sunday and Monday. 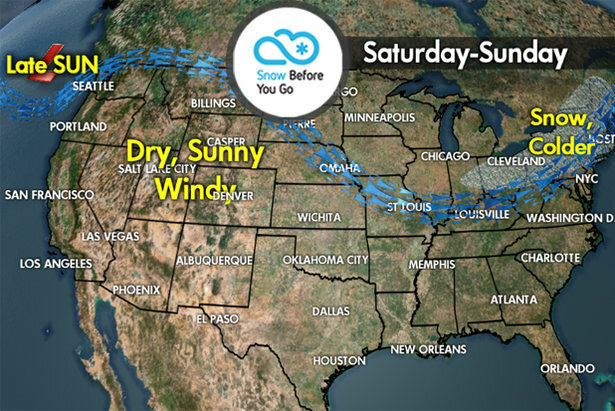 West: After light to moderate new snow on Friday in Utah, Colorado and Wyoming, the pattern dries out for Saturday and Sunday: sunshine prevails. You'll notice some very cold, below-zero mornings Saturday and Sunday at Colorado and Wyoming ski areas. Caution: The avalanche danger is running high in Colorado after 1 to 3 feet of new snow on top of old snow. Wind gusts may push 40 mph above treeline in the Wind Rivers of Wyoming and Northern Colorado on Saturday and Sunday. The next chance of snow hits Montana, Idaho and Wyoming on Monday afternoon into Tuesday. That snow arrives in Utah and Colorado on Tuesday continuing into Wednesday. Pacific Northwest: After several feet of snow high in the cascades and rains in the valley, the pattern dries out this weekend. The next storm gets close on Sunday night with rain/snow by Monday morning continuing into Tuesday. California: Dry this weekend with sunshine. Next chance of snow arrives on Tuesday. 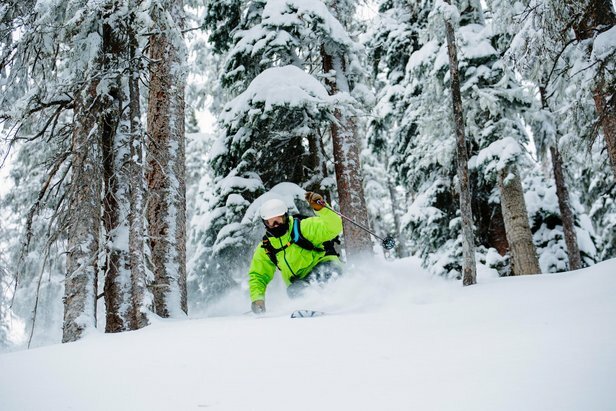 Tomer's Take: Ski Loveland on Friday for some new snow, get some sunshine at Kirkwood or Aspen on Saturday, and find some new light snow at Sunday River on Sunday.